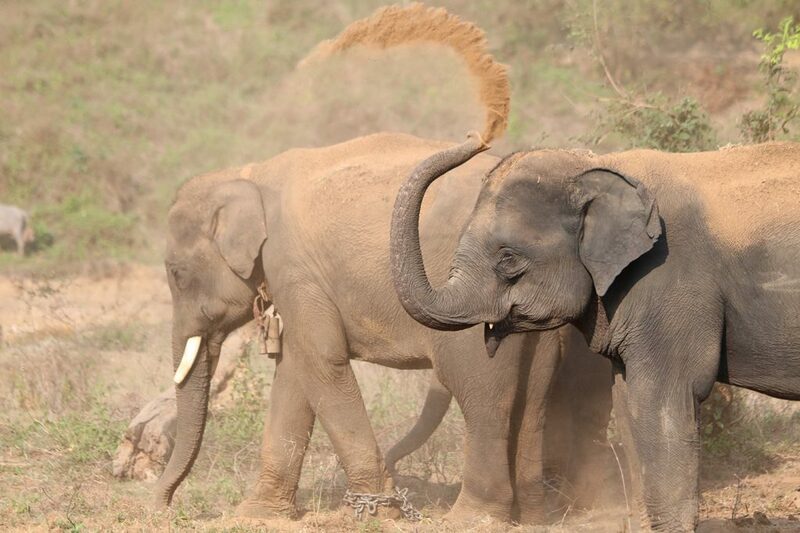 Myanmar Timber Elephant Project | Elephant genes suppress tumours. Could studying this help us prevent cancer? Home » News » Elephant genes suppress tumours. Could studying this help us prevent cancer? In 2015, 1.3 million people died from cancer in the EU, more than one quarter of the total number of deaths across the 28 nations. Despite cancer treatment improving in recent years, the rate of people diagnosed is increasing, says Dr Robin Cristofari, a biologist at the University of Turku, Finland. One reason is that people are living longer which means they are at a greater risk of developing and dying from cancer. Death rates due to cancer in the EU are 13 times higher for people aged over 65 compared to younger people. Cancer occurs when reproducing cells mutate. The older someone is, the higher the chance of cells duplicating into a malignant tumour. Prevention is therefore key, according to Dr Cristofari, and this is something that elephants excel at. He says that being a big, long-living mammal with many more cells than a human should actually increase an elephant’s chances of developing cancer, but that’s not the case. ‘Elephants have a good way to prevent cancer (cells) and that’s to destroy them before they do any damage,’ he said. The biologist is trying to figure out why an animal, he says, which should be a ‘tumour machine’, is actually very effective at fighting cancer. To do this, Dr Cristofari sequenced the Asian elephant genome that revealed many copies of a special gene called TP53, which he says is like a ‘Swiss army knife of cancer control’. It acts as a tumour neutraliser and kicks into action whenever there are cancer cells present, adapting to either kill or repair them. Humans only have one copy of this gene. 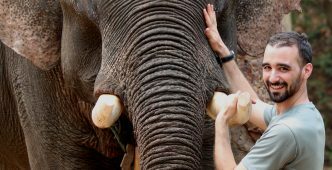 Under a project called Genomics of Ageing in Elephants he is attempting to further disentangle the genes of elephants to understand their cancer fighting ability. He will do this by putting elephant blood into a genetic sequencing machine that will transform the biological information into a series of letters, which ends up as text around four billion characters long. Dr Cristofari will then analyse this to find genetic patterns that could reveal how TP53 interacts with cancer. The idea is to understand how elephants evolved to become so effective in fighting cancer and to see if this knowledge could inspire innovative cancer prevention in humans, says Dr Cristofari. Another way to reduce the risk of developing cancer is to improve ageing rates, which is to slow down the speed of cellular deterioration over time – meaning older people could keep producing healthy cells for longer. According to Professor Virpi Lummaa, an evolutionary expert also at the University of Turku in Finland, we need better ways to ‘live healthier for longer’ because our life spans are increasing and have been doing so for the last 100 years. Prof. Lummaa is studying elephants to learn more about how their ageing rates could help humans grow old gracefully. 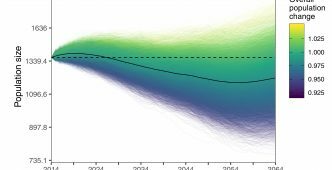 ‘What we would like to do is to develop indexes from blood samples we take that can predict which individuals would age faster and why,’ she said. Prof. Lummaa says that despite their tusks, giant ears and mammoth body, elephants share a similar life span, reproductive history and family structure to humans, making them a perfect specimen to study. These large mammals sometimes have better medical records too – and that means more age-related data for researchers to analyse. ‘In Myanmar there are a huge amount of elephants employed in the logging industry,’ said Prof. Lummaa. ‘These elephants go to a vet every two weeks throughout their lives to determine if they are healthy to work or not. Combining these detailed records with blood samples, Prof. Lummaa will reveal how activity and health earlier in life is affecting biological indicators of ageing, such as telomere length which is a structure in cells that shorten with age. She hopes this will allow her to predict why some elephants grow old faster than others. This along with other cell changes reveal insights into biological ageing rate of both animals and humans, allowing researchers to look how the deterioration in cells is linked to factors like lifelong diseases, reproduction and stress. If we know what factors are critical for healthy ageing and determining life span in an animal that lives for 70 years, those results will quite likely be broadly applicable to our own species, says Prof Lummaa. Early insights have found that elephant calves will have a faster ageing rate if they were born to mothers who were stressed during pregnancy from work or harsh weather. Prof. Lummaa does not yet know exactly why this happens, but she believes this finding is just one example of many that can be revealed by the end of the project in two years. She hopes to find some sort of interventions that could improve ageing in the elephants. If they notice some animals are at risk they could develop recommendations of which animals should be treated a specific way and that could eventually lead to links into how our lifestyle, immunity and nutrition affect how we age. Understanding which lifestyle and health factors lead to faster ageing bodies in elephants, and why, will provide an opportunity to prevent similar processes in humans in the future. 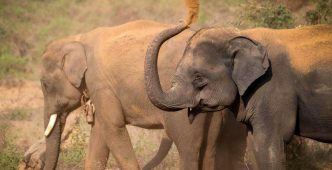 Dr Cristofari will also study the same Asian elephants in Myanmar and combine his research with Prof. Lummaa, hoping it will help them both reveal further insights into TP53 and ageing rates. ‘Once we can genotype these elephants and (create) background links to their ageing differences, we can look at lifestyle factors and see how that interacts with genetics,’ said Prof. Lummaa.